Wednesday, January 24, 2018 by: Isabelle Z. (Natural News) Grocery stores are full of products proclaiming their gluten-free status, and this has prompted many people to believe that this is somehow a desirable quality from a health standpoint. While that’s certainly the case if you have a true allergy to gluten in the form of Celiac disease, it’s important that you don’t get caught up in the hype if you don’t have this condition. That’s because you’ll be spending more money and consuming more sugar and fat for no good reason at all. Gluten is found in many grains, and those who eat a gluten-free diet must avoid rye, barley, pasta and wheat. Those with Celiac disease cannot eat gluten at all because it damages their gut lining, but only 1 percent of the population suffers from this autoimmune disease. Some celebrities have espoused a gluten-free diet, and many people are now getting on board in hopes of losing weight and improving their health. A study that was recently carried out by researchers from the University of Hertfordshire examined 1,700 supermarket foods and uncovered some disturbing trends. They chose food items from several popular supermarkets in the U.K. across ten categories including flour, cereal, pasta, cookies, and crackers. 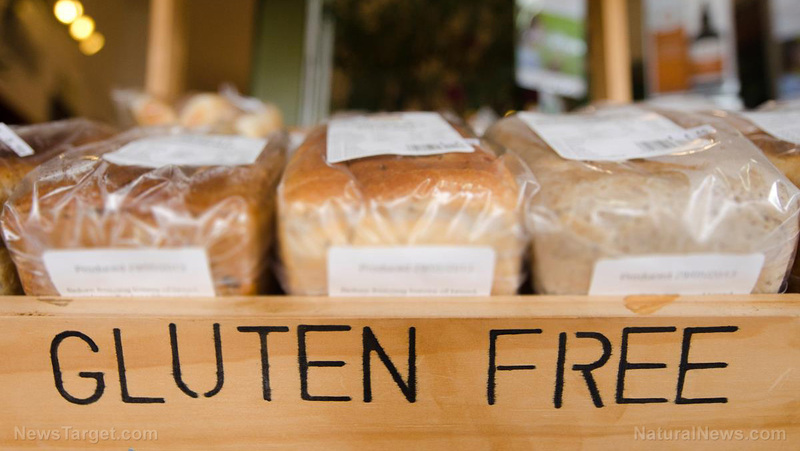 Their findings underscored the fact that gluten-free products do not provide any nutritional advantage over regular foods, nor are they healthier choices. On top of that, gluten-free foods had price tags that were 159 percent higher than their regular equivalents. In their study, the researchers found that gluten-free foods had more fat, sugar and salt than their regular counterparts, crackers excluded. Making matters worse, they were also less nutritious, with lower protein and fiber contents. This is because other additives are often used to give the food the same taste and texture as their gluten-containing versions. Their findings were printed in the Journal of Human Nutrition and Dietetics. However, there is another problem with gluten-free food that is even more concerning, and that is the high levels of toxic metals these foods contain. A study from the University of Illinois found that people who eat a gluten-free diet have twice the levels of arsenic in their body as those who eat a normal diet. In addition to this cancer-causing metal, they also have 70 percent higher traces of mercury. This is because rice flour is typically used to substitute for wheat in the gluten-free versions of foods like cereal, bread and spaghetti. It’s a particularly big problem in brown rice as arsenic is found in the outer coating of the rice that is removed when processing white rice. Another problem that those who go gluten-free often encounter is that there are very few truly organic gluten-free processed carb products, which means that while you might not be eating gluten, you will very likely be consuming ingredients like GMO soy and corn, which is far worse for your health than consuming gluten if you’re not allergic to it. Of course, some people really do eat too much gluten, especially when it comes to foods like breads and pasta. If you’re trying to curb your gluten intake for any reason, the best way to go about it by choosing foods that are naturally free of gluten. Those non-Celiacs who do find going gluten-free to be beneficial are often noting good results simply from moving away from processed foods. Because so many processed foods do contain gluten, those on a gluten-free diet often find it’s easier to fill up on foods like vegetables. Those who take this route rather than subbing processed gluten-free products for their usual processed fare can indeed enjoy better nutrition, and it has usually far more to do with the increased vitamins and minerals they’re suddenly getting than the lower gluten intake. Discover more food science news at FoodScience.news.